Step into the right path with Sunny Health and Fitness SF-1115 Folding Climbing Stepper! Affordable, calorie-blasting, and body sculpting workout enables you to perform both cardio and muscle toning all in the comfort of your own home. The stair climbing machine works your gluteus maximus, hamstrings, quads and core muscle groups at the same time, maximizing your time! Traditional steppers have two platforms, or pedals, where you place your feet. As you push one foot plate down, the other foot plate will rise, only putting to work one leg at a time. 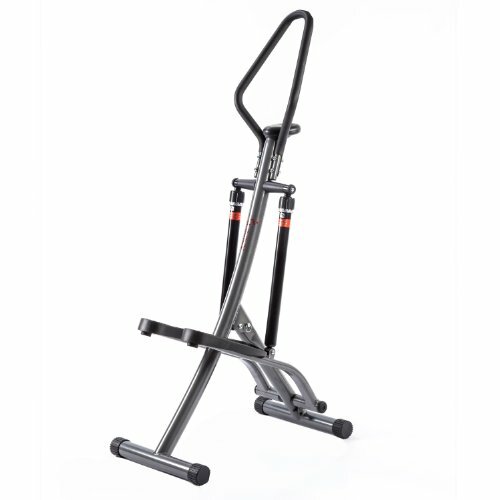 With this Climbing Stepper each pedal works independently working both legs and core at the same time.